But that is only half of the equation, as the deeper currency that holds us together is our common humanity. Because at the end of the day, we all bleed the same blood and breathe the same air, and when stripped to our core, generally want the same things during our time on this planet: to live a life that has purpose and meaning and to love and be loved in return. So this holiday season be a little more conscious with the way you are spending your “cash,” both physically and emotionally, and reflect for a moment on the repercussions of each expenditure. 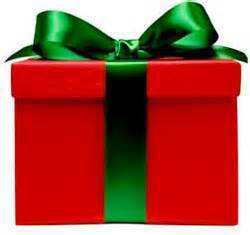 What are you giving, who is that purchase affecting, and what is the receiver ultimately receiving? What kind of present can do double duty, last year round, or even a lifetime? Remember it really IS the thought that counts and should demonstrate love for the recipient, regardless of the price tag. My wish is that they give you new insights about yourself, provide a unique take on current events and/or simply lets you know you are not alone as you experience this journey called Life. I hope you value the spirit in which they are written and enjoy reading them when you can! 2. Share PGG by LIKING PGG’s Page on Facebook AND then tell all of your friends to ‘ Like’ it, too – maybe by sharing a favorite post or quote from one of them, AND/OR encourage them to sign-up to be on my mailing list by going to the Contact Page of my website. If you like what I write, you’ll love what I have to say in person, either one on one or in front of your company, organization or group! Of course your comments and suggestions throughout the year are always welcome and mean the world to me, but any one of these actions would would demonstrate how much of an impact I’m having, and allow me to receive your gratitude and enthusiasm for my work in a more tangible way. Wishing You a Joyful Holiday filled with Love, Laughter and Leisure!